We humans are fascinated with our past. The clothes, the mannerisms, and the homes of old entrance us. We voraciously consume films and television shows that share insights of those times gone by. In New York City, you can step back to an intriguing point in time by visiting one of the city's true gems: the Theodore Roosevelt Birthplace. 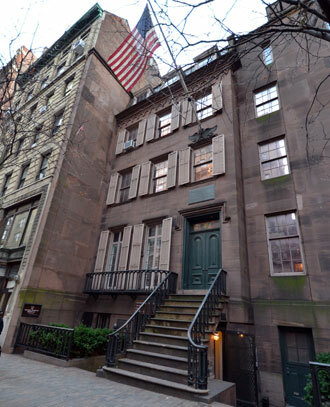 The former president's childhood home is hidden in plain sight in the bristling midst of Midtown Manhattan. The brownstone townhouse was built in 1848 within the affluent Gramercy Park neighborhood that has long been synonymous with New York's elite. When you walk through the front door, you'll notice the rich 1920s wood decor of the visitor center. Guides will lead you up a short staircase to the first floor where any remnants of both the 21st and 20th century disappear. You've now traveled to the year 1865 and into the home of the Roosevelt family, whose seven-year-old son, “Teedie,” would grow up to be the 26th president of these United States. Here you can learn the story of the frail, sickly child who grew into a living symbol of American strength and vitality and guided this nation into 20th century. The home's intimate setting guarantees one-on-one attention from highly knowledgeable staff who are equipped with answers to most visitors' questions. The house tour allows visitors to enter the historically furnished rooms, unobstructed by ropes or glass barriers, and view a wealth of family-owned artifacts. You won't want to miss the exhibits featuring Roosevelt's Rough Rider uniform (by Brooks Brothers, of course!) and the shirt he wore when he survived an assassination attempt, complete with bullet hole and the speech that saved his life. While you're here, view the orientation film, “Teedie,” a colorful and thrilling dramatization of our president's early years. 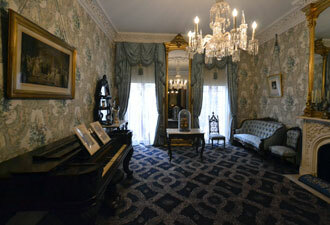 The house at 28 East 20th Street is open Tuesdays through Saturdays, from 9 am to 5 pm. 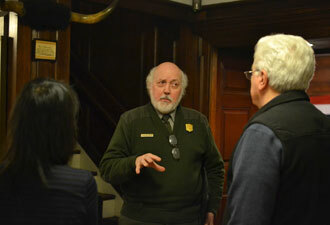 Ranger-guided tours take place several times throughout the day, and admission is free. We look forward to meeting you here and are confident that what we offer will surprise, delight (a favorite word of Theodore Roosevelt's), and positively enlighten.